The best screen recorder to capture and edit your videos with powerful features for Windows. For many years, computer instructors face the fierce challenge of instructing another user to perform a specific task on their own computer. Things become harder when the user is away from the instructor. In fact, it is far harder than programming or managing a database because in this case you have to deal with another person with a different mind-set. No matter how hard your efforts are, you will feel tired at the end of the day more likely with less satisfactory output with ordinary instructional methods. As a great alternative for this, you can seek the help of a screen recoding software to make the teaching or instructing effective and productive with minimal efforts. There are many screen recorder software for you to pick when you browse through internet. Herewith we list down a set of highly effective screen recorder software, which you can obtain for FREE, whether you are looking for a free video recording software for Windows, Mac or Linux, or an online free screen recorder. Note: In this article, we won’t introduce the built in screen recording software in Windows 10 and Mac and only introduce some 3rd party free screen recorders on both Mac, Windows and Linux. If you want to learn more information about the default screen recorders, you can check Windows 10 Screen Recorder Review or How to Record Screen for Mac with QuickTime. Screen recording is an extremely efficient way to present something to an audience (especially for a novice audience) precisely on both Windows and Mac. It wipes away all the doubts and difficulties. Filmora scrn is the best software to resolve the headache that users may not find the suitable tool to help them record their screen. Wiht the all-in-one features, users not only can record videos, but they also can edit recordoings with powerful editing suite. The interface is extremely simple and easy to learn, so if you are a beginner in this field, there is nothing to worry to give it a shot. Filmora Scrn is free to use and there is no limitation in recording time, but there will be a watermark in the exported video. To remove the watermark, you can purchase the one-year license for $19.99 or the life time license code at the price of $29.99. Jing is a free screen recorder presented by TechSmith. It is a small but powerful tool that comes with essentials which allows you to capture images as well as videos and share to the Internet. Although Jing doesn’t have high end features, it is effective enough to plan, record and share the video within a very small time. Being a free software, Jing still is backed up with the technical support of the TechSmith. However, Jing is not the best software tool for you when it comes to big projects, and you have to sign up and connect to your TechSmith account to use. Besides, as a free screen recording software, Jing allows you to capture screens up to five minutes and the best frame rate is 10FPS, and the recorded videos will be saved in SWF flash format. So, before downloading this free screen recorder on your Windows PC or Mac computer, make sure if you are OK with that. You can get Icecream Screen Recorder for free from Icecream Apps. This is an excellent free screen recorder and screen capture tool that is compatible with all the latest Windows and Mac versions. It comes with features to let you add URLs to screen shots, clip board features, project history, audio settings adjustments, hotkey support etc. There is a feature called “area selection” in this unique software enabling you to thoroughly focus on the precise task. There is a drawing panel with advance features which can make your recording session a more creative and unique one. 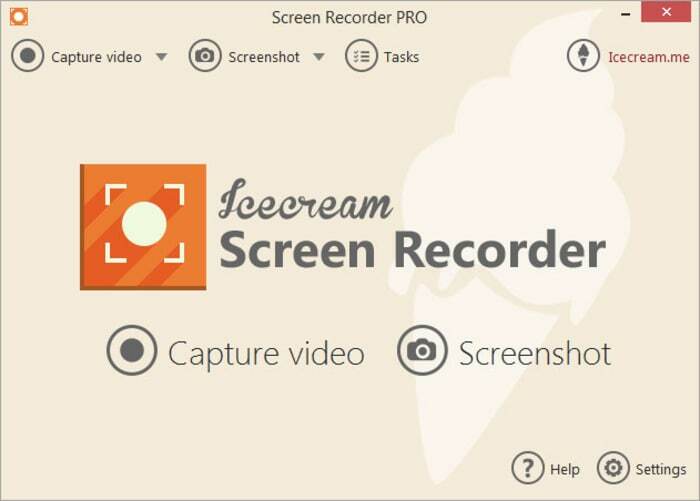 If you choose Icecream Screen Recorder Free version, there is a 5-minute record time limitation and a watermark in the recorded video footage, and many advanced features such as exporting the recorded video in various formats, schedule the screen recording, add watermark to video will be not available. But you can upgrade to Icecream Screen Recorder Pro at the price of $29.95. ActivePresenter is a great screen recorder that is extremely useful with educational presentations or tutorials. Like Filmora Scrn, this is also a 2-in-one screen recorder and video editor platform for both Windows and Mac. 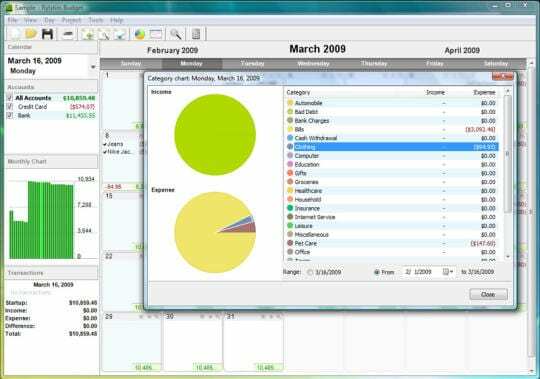 ActivePresenter is a free screen recording software presented by Atomi Systems. The features included in this wonderful screen recorder allows you to be more creative and interactive while recording which is extremely useful when it comes to explaining. Callouts, annotations, narration and special graphics are vital for a better and clearer explanation and that is why ActivePresenter comes with all those features to make your recording a professional and effective one. Professional and standard versions of the ActivePresenter are also available to obtain. There is no time limitation during recording nor watermark in the exported recorded videos, but the formats of output is limited. You can also update to the ActivePresenter Standard Edition with $199 or the Pro Edition with $399. If you are not sure, check the Atomi ActivePresenter review here. CamStudio is a completely free video recording software. Although CamStudio doesn’t come with a large number of fancy tools, there are extremely useful tools with high efficiency. Hiding the cursor during your recording session and browsing for sound sources are examples for such features. Simply put, CamStudio got basic, yet essential tools to perform a highly productive screen recording. 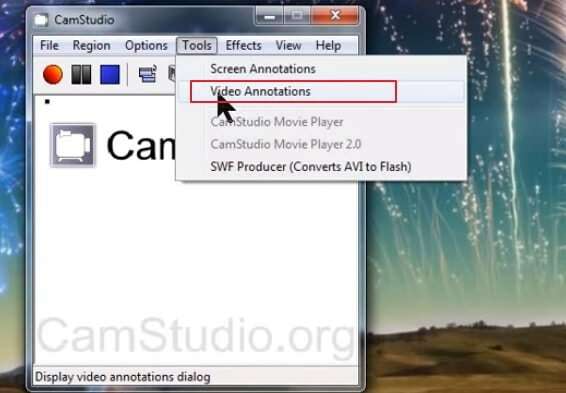 Camstudio can only be used on Windows XP/Vista/7 operating system, so if you want to record on Windows 8 or Windows 10, you have to move on to other free screen recorder. EZVID is one of the best screen capturing tool that allows you to record a video and upload it instantly to YouTube. Adding more value to the product, EZVID comes with an integrated video editor, you so do not have to seek the assistance of an external tool to edit your recordings. It also comes with tools to control the speed of the recording and synthesizing speech. EZVID is free tool which is compatible with Windows XP and greater. Webunaria is ideal for those who like open source software tools. It comes with some editing features like insertion of text. 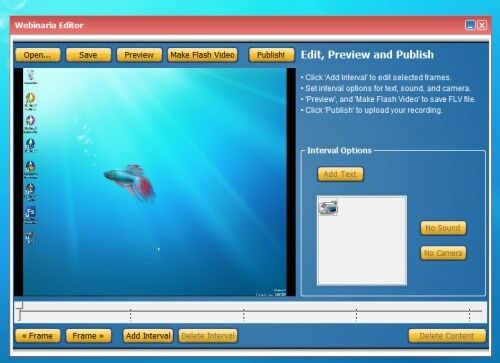 Webinaria is made to be compatible with Windows and it gives you the opportunity to create a Flash Based video with your own narration. Webinaria is good in creating some standard recordings. The main plus point of this tool is that it is an open source software. There is no watermark nor recording time limitation when using Webinaria screen recorder, and you can record voiceover and add text to the video, but the video is saved as AVI or FLV formats. This open source free video recording software only works on Windows 98/2000/XP/Me/2003/NT/Vista operating systems. 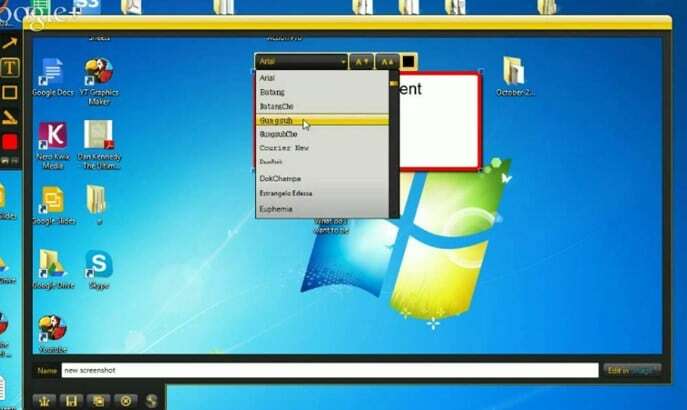 This is a free screen recorder that allows you to record anything goes on your PC screen. After installing the Rylstim Screen Recorder, you should pick the codec type, desired the frame rate and the destination where you are going to save the file. Then it is a matter of pressing Start Recording. This handy tool comes with a portable version too, making things much easier for users. Rlystim Screen Recorder is a light application which captures the activities happening in the desktop. However, you can also use it in Windows 7/8/10, and the recorded video will be saved in AVI file. Above are the best free video recording software that we found for Windows, Mac and Linux users. Some of them are totally free, which means there is no watermark nor recording time limitations but there is a limited output formats. While some of them are free to use, but there may be a watermark in the exported video, to remove the watermark or use the full features of these free screen recording software, you may need to purchase the paid version. For those who want to record screen, video, webcam, or gameplay on Windows and Mac, watch the video below about the best gameplay recorder Filmora Scrn. 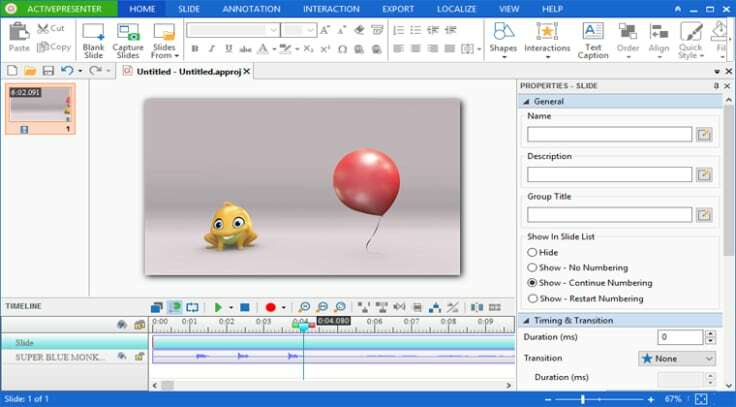 The watermark only appears after exporting, and if you used Adobe Premiere Elements, which costs $99, you will see the watermark even appears when you edit your video and the watermark is ugly, to be honest. In my opinion, Filmora just let you have a chance to use it, experience how to edit video in it. If you are satisfied with the features, you can buy it or you can just leave (great news is, you do not even have to leave your email address when using this software!!!). You mean download the built-in Filmora sound effects? Just update to the latest version. Yeap, record screen with Filmora is easy, but I have found there is a new software called Filmora scrn, which can record up to 120FPS, great choice for gamer, and there are also some callouts, which I think is great for tutorial making. How to download sound effects? I personally prefer Filmora's screen recording feature, it has worked pretty nicely for me :) .